LanHelper là công cụ quản lý mạng nội bộ (LAN), là công cụ phát hiện và giám sát mạnh mẽ cho mạng văn phòng và gia đình. Không cần thêm bất kì chương trình phụ thêm nào. LanHelper tích hợp cơ chế quét thông minh và nhanh chóng cho phép tìm địa chỉ IP, địa chỉ MAC, SNMP, NetBIOS,…trong mạng LAN & WAN. Với chức năng nhóm và XML, việc quản lý dữ liệu máy vô cùng đơn giản với LanHelper. LanHelper cung cấp các chế độ HTML và XML cho phép xem dữ liệu máy bằng trình duyệt web chi tiết và thuận tiện. Không cần cài đặt thêm bất kì ứng dụng phụ nào, bạn cũng có thể đơn giản hóa việc quản lý mạng với LanHelper. Chức năng Wake-On-LAN gửi các lệnh Wake-On-LAN (Magic Packet) tới để bật các máy tính trong mạng LAN hay WAN. Hỗ trợ lên lịch và dịch vụ. Remote Shutdown – chức năng cho phép tắt hay khởi động lại máy từ xa trong mạng nội bộ, hỗ trợ lên lịch nội bộ. Chức năng Remote Execute cho phép bạn lên lịch các tác vụ sẽ chạy theo chu kì hay sau một thời gian nhất định trên các máy ở xa. * Phát hiện các máy trong mạng văn phòng hay gia đình thông qua một dãy đại chỉ IP, các nhóm và tên miền trong toàn bộ mạng LAN. * Thu thập nhiều thông tin mạng như địa chỉ IP, địa chỉ MAC, dữ liệu SNMP, dữ liệu NetBIOS,… LanHelper thậm chí còn có thể phát hiện các thư mục chia sẻ cho phép ghi, chỉ đọc hay có bảo vệ mật khẩu cho bạn. * Không cần chương trình máy chủ. Bạn không cần cài bất cứ chương trình phụ nào trên các máy ở xa. * Wake-On-LAN. Gửi lệnh "Wake-On-LAN" (Magic Packet) tới để bật máy trên mạng nội bộ hay mạng diện rộng. Hỗ trợ lên lịch và dịch vụ. * Tắt hay khởi động lại máy từ xa chạy Windows NT/2000/XP trong mạng nội bộ. * Thực thi lệnh trên máy ở xa, chạy ứng dụng hay mở tập tin. * Giám sát máy chủ và máy trạm trong mạng LAN/WAN. Khi phát hiện lỗi hay vấn đề gì, LanHelper sẽ báo động cho quản trị mạng lập tức. * Kiểm tra các máy đang online hay offline, đồng thời kiểm tra xem tên và địa chỉ IP của máy có bị thay đổi hay không. * Gửi tin nhắn đến người dùng, các máy, các nhóm hay toàn bộ mạng LAN cực kì linh hoạt. * Quản lý các dữ liệu được quét bằng XML. Tập tin XML lưu lại có thể mở bằng trình duyệt Internet Explorer, Microsoft Office 2002 hay các chương trình hỗ trợ XML khác. * Thông qua menu tắt, bạn dễ dàng truy xuất máy tính hay các tài nguyên chia sẻ, thêm hay bỏ các ổ đĩa mạng. Microsoft has released a controller for its Silverlight multimedia software that can present dynamic visual summaries of large data sets in Web browsers. Developed by the company's Live Labs research group, PivotViewer can visualize large collections of data in such a way to make them easier to order and analyze. The software can offer a high-level summarization of the data and allow viewers to swoop down to inspect individual data elements in finer detail. The data visualization can also be easily reorganized depending on conditions set by the user, hence the word "pivot" in the name. "It's more about using the content as the [user interface] rather than using controls or menus," said PivotViewer engineer Brett Brewer in a video posted by Microsoft. Microsoft debuted the technology at its Professional Developers Conference last November and demonstrated it during the TechEd conference earlier this month, during the keynote of Bob Muglia, who is president of Microsoft's Server and Tools Business. The demos usually show PivotViewer operating in a browser, with the left-hand side of the screen devoted to a set of check boxes that can be used to filter the data set, and the rest of the page devoted to organizing small icons, each of which represents a particular piece of data. The data visualization technology could be used for business intelligence, Web site navigation, and as a conduit for content management companies to easily present their libraries to users, Microsoft asserts. The technology has at least one early adopter. The U.K. wedding planning site Hitched uses PivotViewer as part of its wedding venues visual search. PivotViewer includes application programming interfaces (APIs) to allow designers to customize the control of the viewer. Data collections must be described in XML and include icons for each element, according to the software's technical documentation. The data then can be placed on a Web server, where it can be accessed by any browser running Silverlight and the viewer. Microsoft urged Windows users to update their software Tuesday, saying it's now seen more than 25,000 attacks leveraging one of the critical bugs fixed in July's monthly security patches. Microsoft researchers tracked a "fairly large," spike in Web based attacks that exploit the problem over the past weekend, the company said in a blog postingTuesday. "As of midnight on July 12 (GMT), over 25,000 distinct computers in over 100 countries/regions have reported this attack attempt at least one time." On the busiest single day, Microsoft researchers tracked more than 2,500 attacks, a small number considering Windows' massive user-base. Still, Microsoft and security experts are worried about this flaw because it's been publicly known for more than a month, and has shown up in real-world attacks. Users in Russia are now the most-targeted, Microsoft said. They have accounted for 2 percent of all attacks, which translates to about 10 times the total number of attacks per computer as the worldwide average. Portugal is the number-two most-targeted region. Successful attacks secretly install malicious software on the victim's machine, often a program called Obitel. Once Obitel is on a PC, it enables other malware to be loaded, such as malware that can log keystrokes, send spam, or perform other nefarious task. Two weeks ago, the total number of attacks logged by Microsoft was 10,000. Security experts say the flaw is being exploited in drive-by Web attacks that are triggered by malicious code placed on hacked or malicious Web sites, although it could also be triggered in other applications -- e-mail readers, for example -- that can interact with Web pages. To protect themselves from these attacks, Windows users need to install the MS10-042 update, released Tuesday. It fixes a bug in the Windows Help and Support Center, which ships with Windows XP. Although this flaw also affects Windows Server 2003, Microsoft has only seen Windows XP attacks used by criminals. More-recent versions of Windows such as Vista, Server 2008 and Windows 7 are not affected. Firefox's Home App for iPhone has opened my eyes to a world where desktop and mobile web browsing become one, but we're not quite there yet. Artwork: Chip TaylorThe neat thing about Firefox Home is that it syncs browser tabs, not just bookmarks, from a PC to an iPhone. Mozilla released the iPhone app on Friday. To use it, you'll also have to install the Firefox Sync add-on to your PC and create an account, and you have to make sure to click "Sync Now" under Firefox's tools tab before you hit the road. Being able to pick up on the iPhone where I left off on the PC is one of those ideas that suddenly seems long overdue. I'm the kind of Internet user who amasses a semi-organized maze of windows and tabs as my browsing session goes on, and Firefox Home displays links in a simple list. If you prefer a different browser, another app called Xmarks also syncs from PC to iPhone, and it works in Firefox, Chrome, and IE. It costs $1, and more elegantly groups your open tabs by window. But neither Firefox Home nor Xmarks take the full step of being a web browser, or integrating with an existing one. When you open a link in either app, you go to a built-in Webkit browser for that app, and from there you're basically stuck. Sure, you can open any link in Safari, but it's not the same as taking all your open tabs on a PC and opening a fully-tabbed browsing session on the phone. For Mozilla, the solution might be to actually release Firefox -- or Fennec, as it's known in mobile form -- for the iPhone, with the ability to sync directly to the browser. There's an alpha version of Fennec kicking around on Android, but no word on iPhone, or whether Apple would even allow it. Both Xmarks and Firefox Home could really use a bookmarklet -- a small application stored as a bookmark -- to let mobile users tap their open tabs from any browser. The app would be so much better if I could send my entire browsing session to mobile Safari, or better yet, the tabbed glory of Atomic Web. I'm not the first person to suggest this; there's a growing thread of people asking for the feature on GetSatisfaction.com, an Xmarks rep responded by saying maybe they'll add a bookmarlet feature soon. For now, browser tab sync is a good idea that falls short of greatness, but with two players in the iPhone app store, I only see improvement ahead. Future versions of Firefox are set to adopt a new tab design that will transform the browser's interface, a senior Mozilla developer has announced. Called "Tab Candy," the new idea is to place tabs inside the browser window, grouping them according to particular associations. The effect is rather like viewing thumbnails, which allows users to keep track of much larger thematic groups using a convenient visual cue. Artwork: Chip TaylorThe best way to understand the concept is to view it. Mozilla design guru Aza Raskin (as it happens the son of the late Apple design guru, Jef Raskin) has released a video that steps through the new interface. Other advantages are subtle but interesting, such as being able to load large numbers of tabs at the top of a browser window simply by clicking on that Candy thumbnail. In the current Firefox browser -- or any browser for that matter -- the user would need to open these from bookmarks, one by one. It's like having a map of what is important, which makes losing track of important sites harder. "Often, it's easier to open a new tab than to try to find the open tab you already have. Worse, how many of us keep tabs open as reminders of something we want to do or read later? We're all suffering from infoguilt," comments Raskin by way of explaining the need for a new form of visual cue. Raskin's team has made available an Alpha download of Tab Candy for anyone who is willing to accept the limitations of running such early software. Be warned, however -- at this stage the release is aimed at developers. Timescales for incorporation of Tab Candy are still vague. 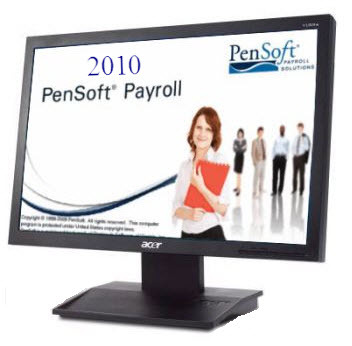 Designed for payroll processors with multiple payroll clients. It is a power payroll software designed to streamline your payroll processing needs. With free unlimited Program Support, updates throughout the year, and calendar year software we offer the best value in payroll software. * Accelerated Downloads:By splitting the files into several parts and downloading them at the same time you save time. o YouTube, PutFile, Google Video and other Video Sites. o Shoutcast and other Streaming MP3 radio.